ENGLAND, Weymouth. 10th August 2012. Olympic Games. Women's 470 class. Medal Race. 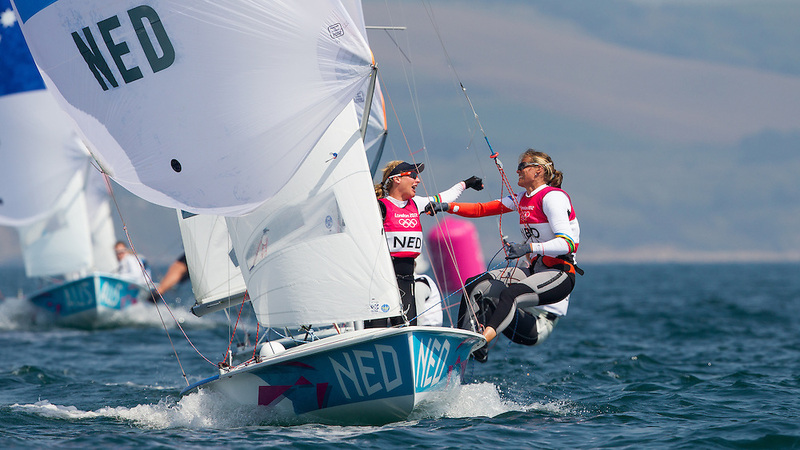 Lisa Westerhof (NED) Skipper, Lobke Berkhout (NED) Crew, winners of the Bronze Medal.